Mobile Apps, How do they work? ¡Hi again friends! Here we go with this week’s entry were we will talk about the mobile apps, Yes, the ones we all have, download and uninstall all the times in our smartphones. As we all know, today the majority of the mobiles have apps of different types, as we all like the games, read the news or communicate with our friends and family. 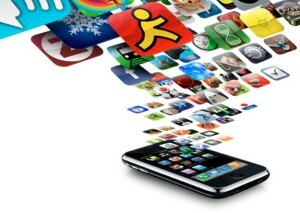 But, have any of you ever thought how these apps work and the resources they use from our mobile phones. From Mobimax we would like to share with you a basic explanation that will help us to understand them better. Firstly, not all mobiles offer the same apps. Why? Well because not all mobiles use under the same operating system. Apple’s smartphones work with iOS operating system, and the wehave the Androids – and from the “App Stores” from each of them we buy or download the apps. Interestig data: Google Play is the operating system that offers the most apps, they have circa 1.4 million apps on the market, with Apple coming in a close second, with 1.2 million. Let’s go over a few download logistics. The most important thing to keep in mind, is that downloading apps can cost you a lot of MBs/money if it is done from the mobile network, so make sure you leave the downloads for when you are connected to wifi! Also remember that downloads usually take a couple of minutes so don’t start the download in a wifi-zone and then leave before the app is fully installed. 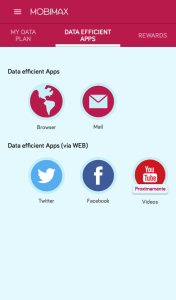 Now the million-dollar question: What data is accessing the apps we have in our mobile? Many of us do not realize this, but the data that is more requested by the apps is the location. Today many of us depend of GPS apps like GoogleMaps or Waze to be able to reach our destinations, and those services require access to our location in the map. This is fine and useful, but did you know that many apps without the GPS services are also accessing your location? 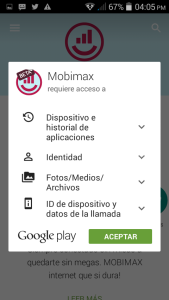 Mobimax recommends: Be cautios and read carefully the apps description during the installtion, to avoid any surprise. I’m sure we all have installed applications like Facebook, Twitter o Instagram in our mobiles and besides communicating with each others, we upload content to our favorite social networks. This is because the apps we use for that, have access to the contents stored in the mobile. 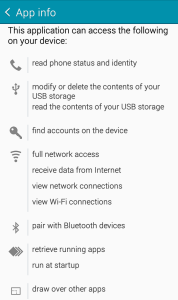 To those that do not want the app to acces them, Mobimax recommends to reconfigure the privacy in the section “Settings” of your mobiles, as many of them get the privilege automatically when installing. 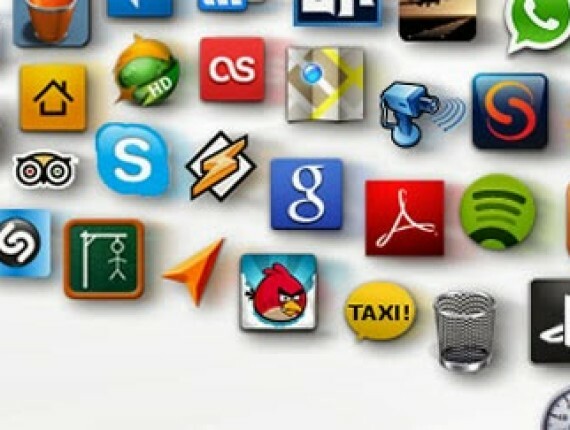 Many applications, especially those for social networks, access our contacts without noticing. For instance, the other day launched an app to talk to a friend and noticed that I had more contacts than the usual ones. When tried to delete them, realized that the contacts from my agenda were transferred to the chat service and this bothers me as I never authorized such use of my personal contacts, and had to reorganize them. Always take into consideration that this type of data usage is not well justified, and do not let the apps to abuse from your privacy, closely controlling the “Settings” in your mobile. And how is Mobimax using your data? Mobimax do NOT use your mobile data, except the ones you enter manually. It means, the only data we use is your data package and your mobile number, and this is only to help you to control your expense and the use of megas while you are always connected. Read all the information that the apps gives you about their product, before or during installation. Only 10% of the apps that you download will give you specific information on how they plan to use your phone’s data and information. Be prudent, and if the apps don’t offer such explanations, try to investigate a little more about it, before you decided whether to install it or not. 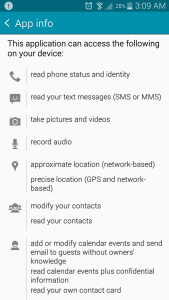 Control your privacy setting – GPS, camera, agenda – leave no stone unturned. Don’t forget your phones have these features so that you can protect your privacy as much as you want and whenever you feel like it. Many apps will have some sort of publicity, because that’s how the finance themselves, so if you are aware of this, try to access these apps when you’re in a wifi-zone, as you don’t want to be paying for some content you didn’t want to see; or alternatively, use Mobimax and download only the content you want to see and nothing else.